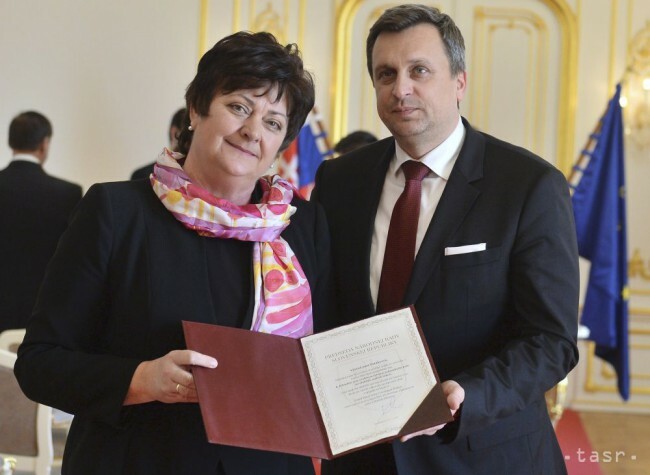 Bratislava, March 29 (TASR) – Newly elected Ombudswoman Maria Patakyova took up office on Wednesday after she was sworn in by and received her appointment papers from Parliamentary Chairman Andrej Danko (Slovak National Party/SNS). „The oath that I’ve just taken commits me to exercising my authority in an independent, unbiased, non-partisan and resolved manner,“ said Patakyova. She went on to note that the present-day „post-fact era“ is partly shaped by virtual reality and marked by harsh criticism of global processes and material deprivation. „This is why increasing trust in the state and state authorities is evolving into one of the foremost challenges,“ she said. Patakyova went on to express her hope in Slovakia’s commitment to sensible protection of fundamental rights and freedoms. She also said that she expects a good rapport with state authorities and positive feedback to her office’s ideas for improvement. Meanwhile, citing her experience with Patakyova as a university lecturer, Danko said that he’s convinced that she has all it takes to put the activities of her office up a notch. „She can be fair, has empathy and understanding for others, and can also impart advice,“ said Danko. Danko went on to give a word of thanks to Jana Dubovcova, whose term as ombudswoman expired on Tuesday. He believes that Patakyova won’t make the same mistakes as her predecessor in office. „Despite defending people of other races, ethnicities, beliefs, others mustn’t fall beneath your radar. Justice and balance must be ensured at all times,“ said Danko. Patakyova, who is vice-chancellor of Bratislava-based Comenius University and an active barrister, was proposed for the role by the coalition Most-Hid party. Described by Most-Hid as a recognised expert and an international authority on the sphere of law, Patakyova also gained the endorsement of the other two governing parties, Smer-SD and SNS. She received 75 votes in a secret ballot in the 150-member House on February 8.